Barrigas de Vieja means “the belly of an old lady”, because they are flabby, soft and without a consistent shape. I know its a funny name, but these sweet pumpkin fritters are truly delicious. 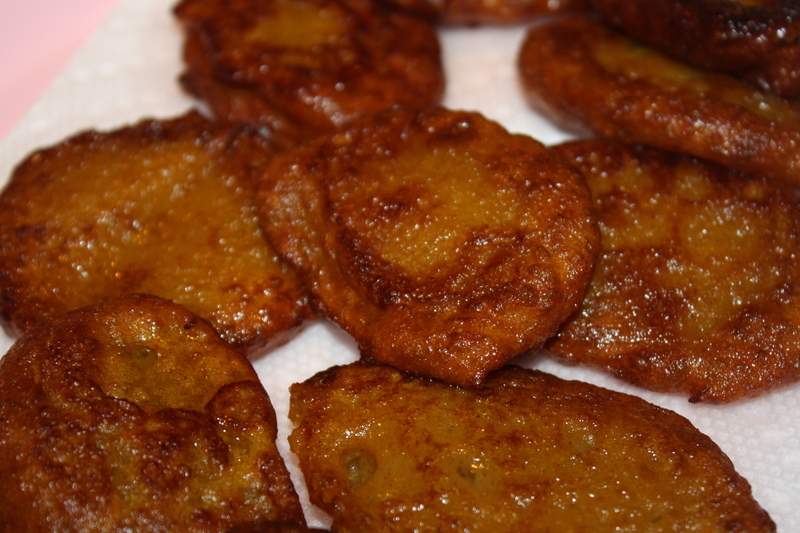 They are also called “tortitas de calabaza”. 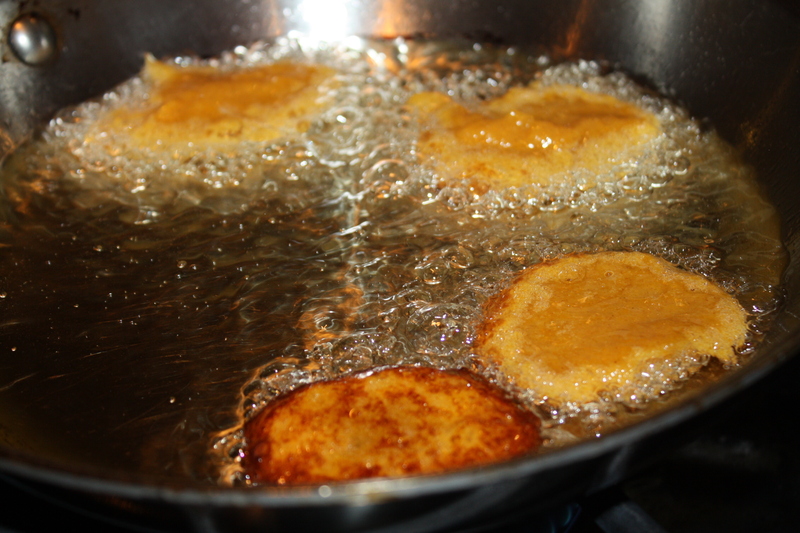 I grew up having these fritters sometimes as a snack or appetizer before dinner. My mother and grandmother are experts making them. You can make the batter the day before and refrigerate until ready to use. 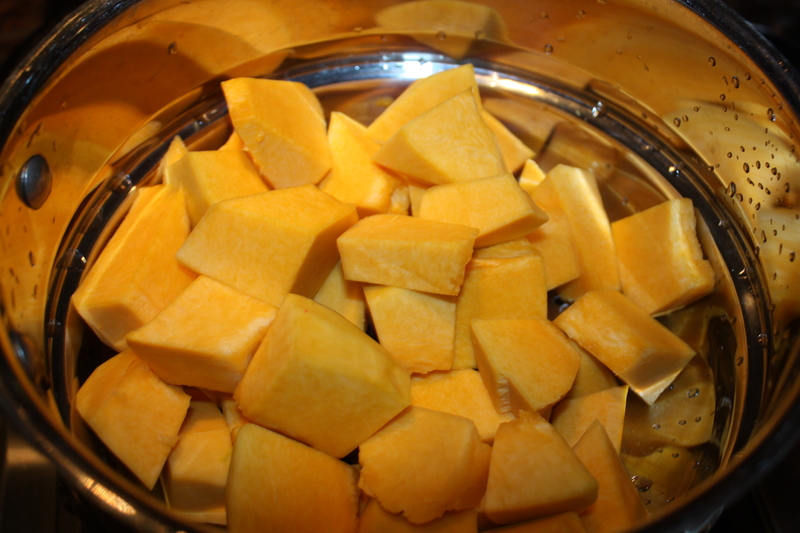 Most recipes call for the pumpkin to be boiled, but I prefer to steam it in order to keep most of its nutrients and to avoid the pumpkin pieces to absorb too much liquid. I find this method yields a better consistency. Wether you call this fruit (has seeds inside and is the fruit of a flower) pumpkin, squash, calabaza, zapallo or auyama, you will find it is very versatile and can be used for sweet or savory recipes. 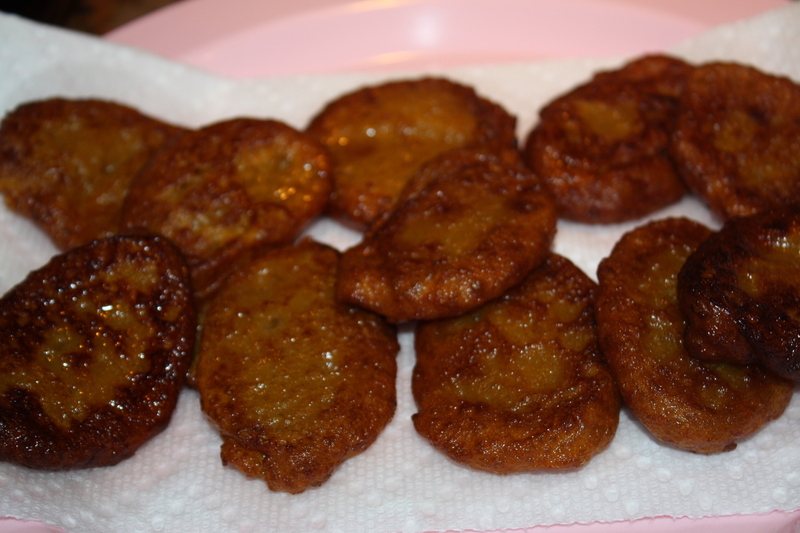 Here is my version of Barrigas de Vieja (Sweet Pumpkin Fritters). 1. Steam pumpkin until soft. Puree with a potato masher or with fork. In a small bowl sift flour, cinnamon and salt, set aside. 2. Add sugar and stir with a spoon. Add dry ingredients from bowl and vanilla. Continue to stir with spoon. 3. At this point pumpkin mixture should no be too hot. Beat egg and add to mixture. Stir until fully incorporated. 4. Heat oil (med or med-hi depending on stove) in large frying pan. 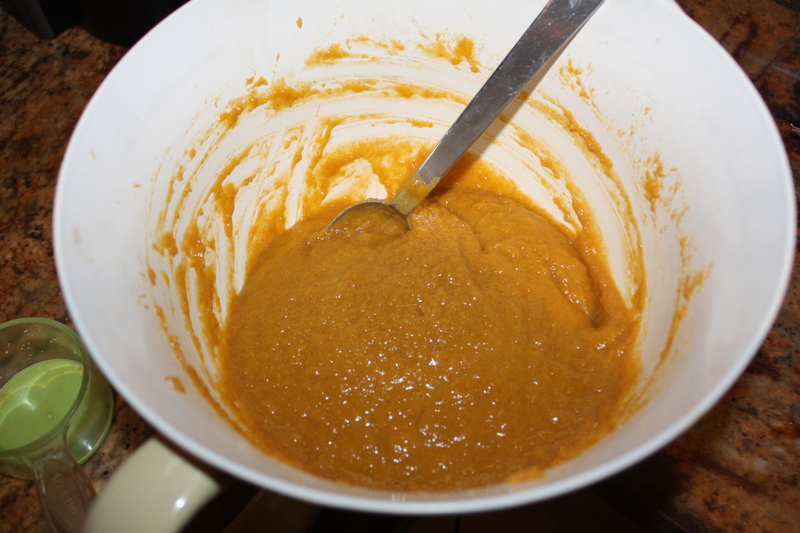 Spoon pumpkin mixture (I use soup spoon) and turn once golden on each side (about 2 minutes each). Set aside in plate with paper towel to drain excess oil. Yields about 2 dozen units. Serve immediately as an appetizer or as a side dish.